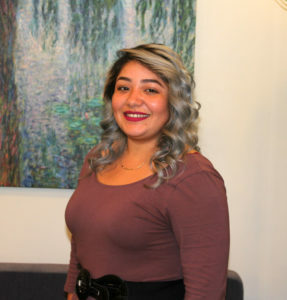 Janett has been working for us since 2015 as our receptionist and scheduler. “As the receptionist I am probably the first person you will talk to when contacting the office. This is an important job, as all impressions start with the first impression, and your experience with me will reflect on the entire practice. I do not take that responsibility lightly. “I started working for Dr. Mehta in 2015, after working for Dr. Tsang and Dr. Johnson. It has been a pleasure working for him as the front desk receptionist. I’d be happy to assist in scheduling an appointment, answering any questions regarding the procedures or preparations, prescription refills, or any questions in general. I am here to help!